Gruendl, Harald (2006): The Death of Fashion. The Passage Rite of Fashion in the Show Window. Springer: Wien, New York. When, for a few weeks each year, Western fashion victims become red-hot with excitement waiting for the fashion sales to take place, they are unconsciously following an ancient sacrificial ritual. Just as in ancient Greece, the God of Fertility had to be killed during the Dionysia in order to be resurrected, the season’s fashion has today to be symbolically sacrificed in order for the shop windows to be filled with something new. Harald Gruendl observes the death and resurrection of fashion in the shop windows of Paris, London, New York, Hamburg and Vienna at sales time. He shows why archaic scenes of darkness, nakedness and chaos briefly dominate the shopping streets of the fashion metropolises, and why people buy (and have to). 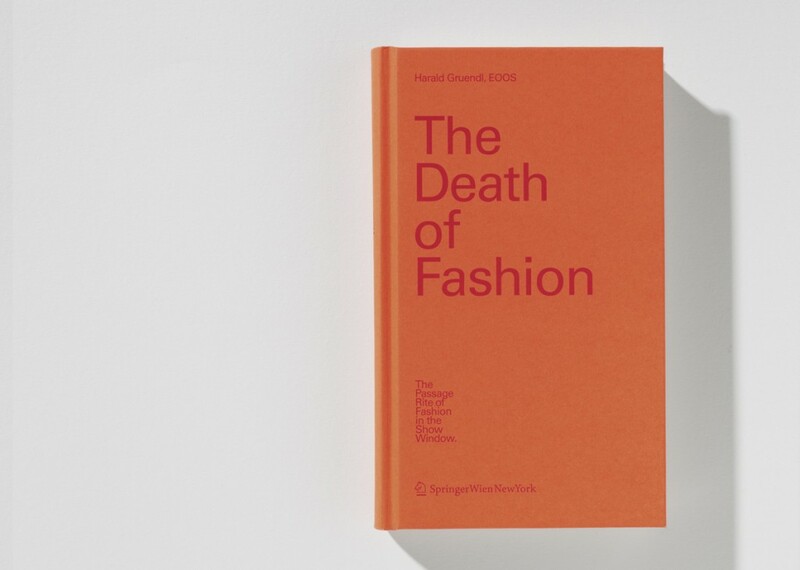 “… a must-read for diehard shoppers and fashion victims,” says the i-D magazine, 03/2007.